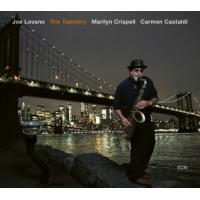 An inquisitive musician with a reverence for tradition, Grammy-winning saxophonist Joe Lovano has recorded a number of unique tributes to artists who have inspired him, including Enrico Caruso and Frank Sinatra. 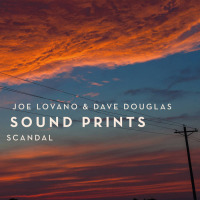 But none of his previous homages, not even 52nd Street Themes (Blue Note, 2000), his love letter to the bebop era, are as relevant to his artistic development as Bird Songs, Lovano's modernistic reinterpretation of tunes written by and associated with the great Charlie Parker. 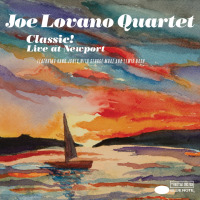 Reevaluating these revered compositions from a contemporary perspective, Lovano rearranges Parker's innovative melodic, harmonic and rhythmic fundamentals into unique new configurations for his critically acclaimed Us Five ensemble. Favoring impressionistic flourishes and kaleidoscopic accents over conventional time-keeping, drummers Otis Brown III and Francisco Mela underpin Esperanza Spalding's earthy bass lines and James Weidman's prismatic piano harmonies with a nuanced sensitivity concordant with Lovano's singular vision. 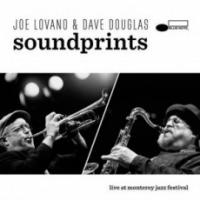 Approaching Parker's seminal efforts from a composer's perspective, Lovano deconstructs these beloved standards with respectful consideration, while altering the character of each tune in often unpredictable ways. 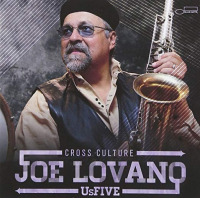 Frequently reducing the breakneck tempo of bebop staples, such as "Donna Lee," Lovano unveils the subtle harmonic nuances of Parker's melodic genius that are often overlooked by interpreters who merely run the changes. The aforementioned tune is an apt case study, imaginatively recast as a sumptuous ballad in the lyrical style of Coleman Hawkins (Parker's conceptual predecessor). 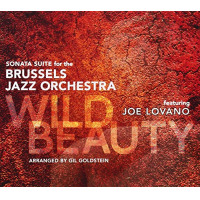 The date's most adventurous inclusion, a spontaneous trio abstraction of "Ko Ko," conveys a very different sensibility, demonstrating Lovano's expansive vision through his melodic tenor fragments and the drummers' contrasting tempos. "Moose The Mooche" embraces the blues with a rarefied air of raw emotional authenticity, while "Blues Collage" inverts them with a contrapuntal arrangement that features Lovano, Spaulding and Weidman simultaneously playing three different blues-based tunes ("Carvin' the Bird," "Bird Feathers" and "Bloomido," respectively) as a charmingly concise neo-classical fugue. 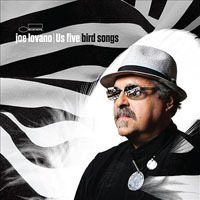 Upholding Parker's legacy, Lovano acts as primary soloist, delivering urbane cadences with a charisma redolent of Bird's larger-than-life persona. Though focusing primarily on his burnished tenor, Lovano debuts a new G mezzo soprano on a probing version of "Lover Man" and brings the exotic aulochrome (his patented double-soprano) to play on "Birdyard," reworking the theme of "Yardbird Suite" into a brief but spellbinding series of hypnotic variations. "Barbados" and "Dewey Square" draw equally colorful textures from Brown and Mela's scintillating percussive palette, embracing the ebullient South American polyrhythms popularized in Parker's era. The hymn-like "Yardbird Suite" moves symbolically forward, ending the record on a note of lilting celebration which subtly invokes mid-period John Coltrane (Parker's conceptual heir). Marking Lovano's twentieth year recording for Blue Note, Bird Songs is far more than just old wine in new bottles; it is a testament to the historical awareness and creative vision of a seasoned artist whose aesthetic encompasses every facet of the jazz continuum.